Just like adding artificial colors to dog food, feeding table scraps does more to please people than to benefit dogs. Your dog doesn't care about all those flavors and colors. She's perfectly happy with that plain old high-quality kibble she's always eaten. And if you never feed her table scraps, she'll never know what she's missing. Scraps tend to be full of fat, salt, sugar, and spices—nothing that's needed by or is good for your dog. 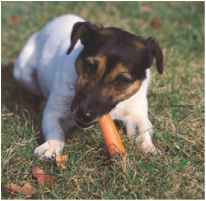 Carrots are a healthy snack for your dog. Many of the foods we eat are excellent sources of nutrients— after all, we do just fine on them. But dogs, just like us, need the right combination of meat and other ingredients for a complete and balanced diet, and a bowl of meat doesn't provide that. In the wild, dogs eat the fur, skin, bones, and guts of their prey, and even the contents of the stomach. This doesn't mean your dog can't eat what you eat. A little meat, dairy, bread, some fruits, or vegetables as a treat are great. Just remember, we're talking about the same food you eat, not the gristly, greasy leftovers you would normally toss in the trash. Stay away from sugar, too, and remember that chocolate is toxic to dogs. Can your dog eat an entirely homemade diet? Certainly, if you are willing to work at it. Any homemade diet will have to be carefully balanced, with all the right nutrients in just the right amounts. It requires a lot of research to make a proper homemade diet, but it can be done. It's best to work with a veterinary nutritionist. Even if you feed something healthy from the table, the dog will still get into the habit of begging, which will become a mealtime annoyance forever—not to mention the fact that your JRT could end up being a very finicky eater. 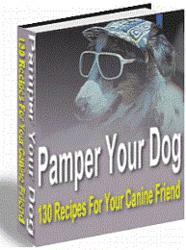 Good people food snacks for your dog, in moderation, are pieces of carrot or apple. Most JRTs love them. Offer the snacks between meals—yours and the dog's—or as rewards in training sessions. 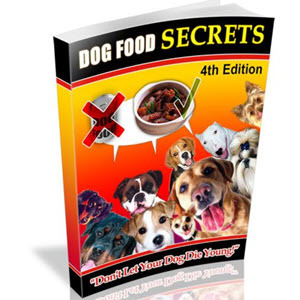 Never feed your dog cooked bones as they splinter and can perforate the intestines. And never feed small, sharp bones to your dog. The best bones to feed are the leg bones of cows. Don't overdo it, though, because too much bone chewing can cause extreme wear on a mature dog's teeth. What are good table scraps to feed your jack russell?